This was a fun beer to make! After a summer of waiting for just the right time, my friends the Webendorfers invited several of us over for a cookout and to pick some of their beautiful backyard grapes. 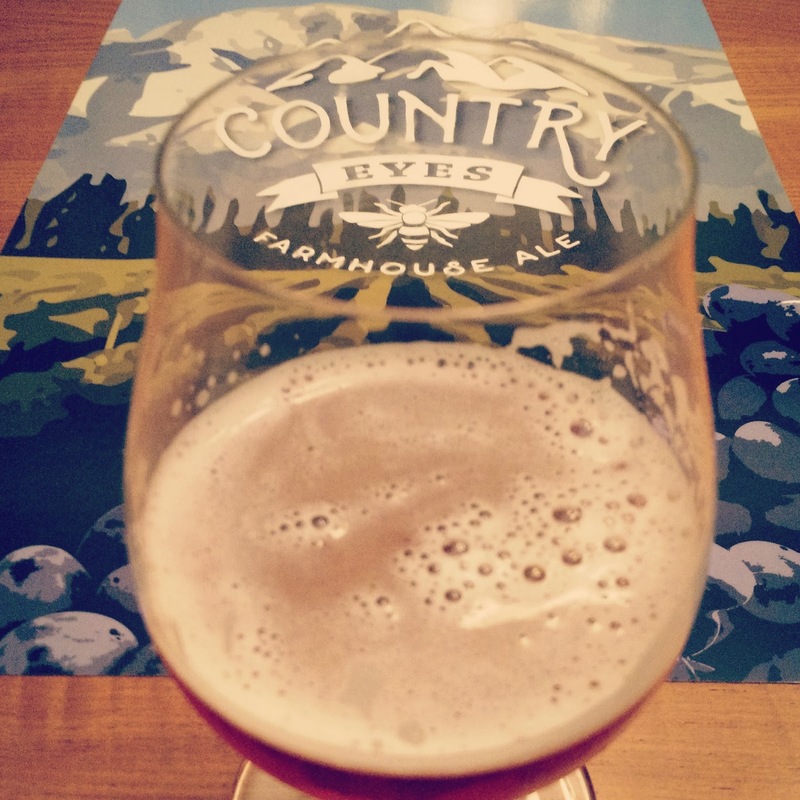 A great time, and we enjoyed the last of the rye IPA that we had made for our annual Brew 'n' Smoke event. The plan for these grapes: Press them to make my first batch of wine, and then add a portion of the remaining grape must to a Belgian farmhouse ale that I had brewed a few weeks prior. We gathered maybe 20-30 lbs and kept them refrigerated for a couple of weeks while the beer fermented out. Loosely inspired by a New Glarus Brewing R&D beer, Champ du Blanc, that I was fortunate enough to try at the Great Taste of the Midwest Beer Fest earlier in the month, I knew that I wanted to brew something lighter in character but with enough malt backbone to balance out the likely tart finish of the grapes. In this, I believe I succeeded, but the finished beer did not attenuate as much as I expected. The Wyeast 3724 saison, petered out at about 1.032 and stubbornly refused to dry out much past 1.020. I had hoped to get it down to 1.014-1.016. Perhaps this could be accomplished with an alternative strain. Nevertheless, the 3724 saison provides a great farmhouse flavor and plenty of character. Pressing the grapes was also a blast, with friend Stephanie coming over to help clean and separate the berries from their stems. I rented a small press for only $15 from the Wine and Hop Shop and crushed the grapes in a blender before pressing. We ended up with about 1.5 gallons of grape juice and a few pounds of grape must. I'll write more about the wine in a separate post, but I dosed the grape must for the beer with some potassium metabisulfite to prevent wild yeast from spoiling my batch and let this sit for 24 hours before adding it to the beer. With grape must added, I let sit for 8 days before racking to a keg to condition and serve. 9/11 - Gravity still at 1.040. Will pitch more yeast. Heat to 74F.